Welcome to Swift Fox's official homepage. I hope you enjoy the contents of this web site and the pictures of my quillwork. Many of you also know me by my christian name as Jim Taylor so enjoy and oliwinni for visiting any questions go to the contact me page. 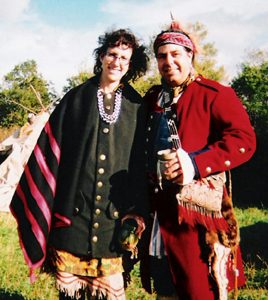 Please Note: The State of Vermont finally at long last granted State Recognition to 2 tribes on Aprill 22, 2011, recognizing both the Elnu Abenaki & the Nuhlhegan Abenaki tribes of Vermont so we as native people are now able to label our crafts/art as "Native Made"
Everyone knows how to do something. Whether it's playing a guitar, carpentry, knitting, painting with watercolors, caring for an iguana...we've all acquired certain skills in our lives, and it's only right that we should want to share the results of our Gift That the Creator has Blessed us with and also share what we've learned about how to do it well. 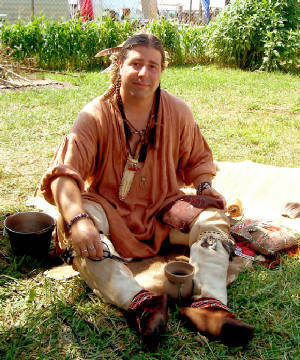 On this site, I'm going to talk about my own skill on Eastern Woodlands Quillwork. I'll give a bit of history on the subject itself, as well as some background on how I got involved in it. I might also include some instructions on how to perform the Art of Quillwork, as well as any tips or tricks I've acquired through the years. 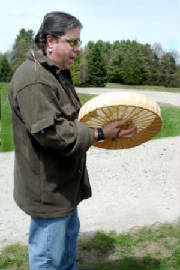 And, of course, I'll include lots of pictures of my Quillwork or of me enjoying myself doing it. 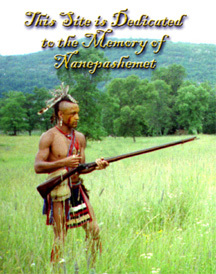 Nanepashemet 1954-1995 was a member of the Wampanoag Tribe and Curator of The Native Interpertation Site at Plimouth Plantation in Massachusets,He was a friend and is sadly missed by all who knew him.